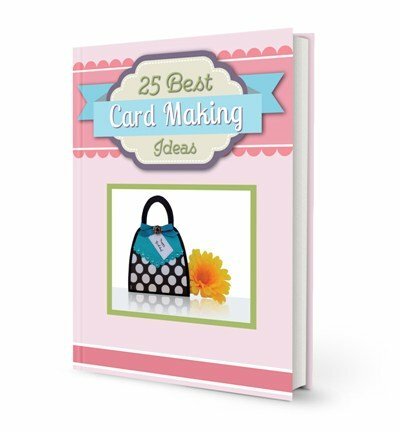 With a variety of handmade card ideas on the web, there are so many ideas that can help inspire you. 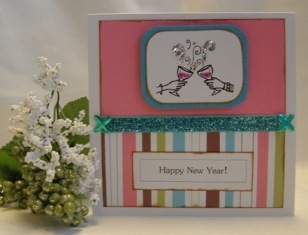 If you are looking for fresh homemade card ideas, try my greeting card ideas on this page. 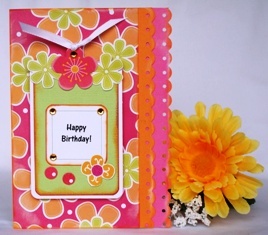 I have an assortment of paper crafts from birthday card ideas to Valentine card ideas. 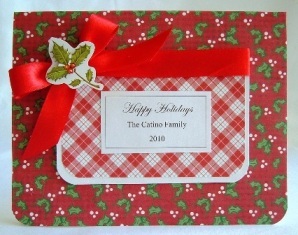 For the idea below, I used a scallop border punch on all four sides of cream paper. Flower stickers are what I used for the front of the sentiment. The sentiment is printed on vellum paper. 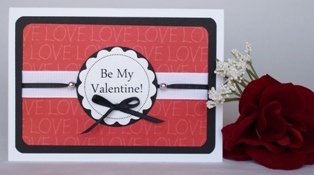 I do love utilizing my craft punches so you'll see lots of homemade greeting card ideas using them. I love circle punches, corner punches and border punches. Using the circle cutters that are out on the market for my handmade card making projects are a bit of a challenge for me so I rely on my circle punches to make nice and easy shapes for me. Click here for a list of my favorite punches. 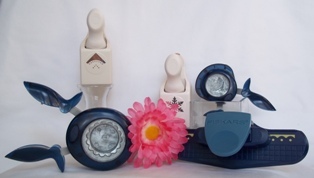 There are definitely an assortment of craft punches out in the marketing. I started with a couple and then expanded my collection so that I have a good variety to choose from. 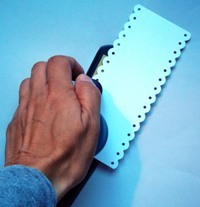 To use your corner punch, insert the corner of your card into the slit in your punch until it stops. Squeeze your punch. Punch out one, two or all four corners of your paper. 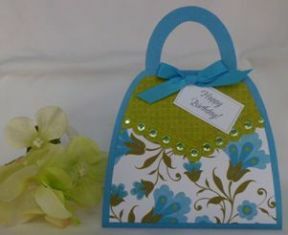 I also used my corner punch on this handmade cardmaking idea. First I cut out the different sizes of rectangles on printed and solid paper. 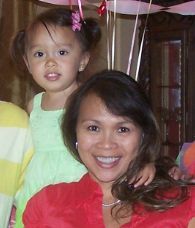 Then I rounded out the bottom corners of the different sizes of paper and photo. I then placed the photo over the cream paper. Next, I adhered the cream paper over the pink and finally, I taped the pink paper onto the pattern paper. 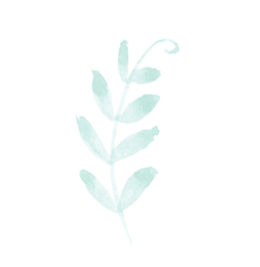 Click here for instructions If you want to change it up a bit, round off the corners on all four corners to create a frame around the photo. 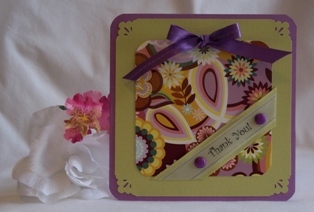 You can come up with lots of card making ideas with a scallop border punch. 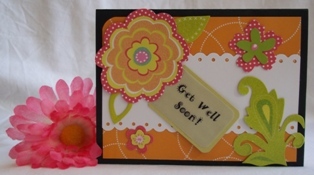 For this get well soon card, I punched the border on both sides of a white strip of paper. 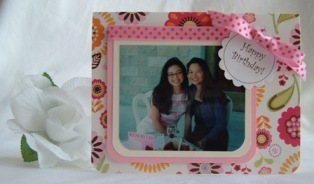 Here's another idea using my corner punch. 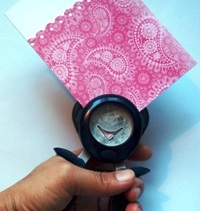 If you don't have a big budget for your handmade card projects, try a craft punch. 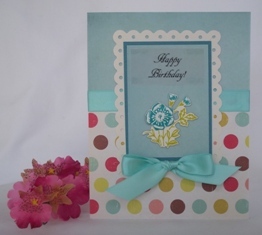 Start off with with a couple like a corner punch and border punch and you'll be able to make a variety of handmade card ideas.